Excellent idea to start this Jorge. 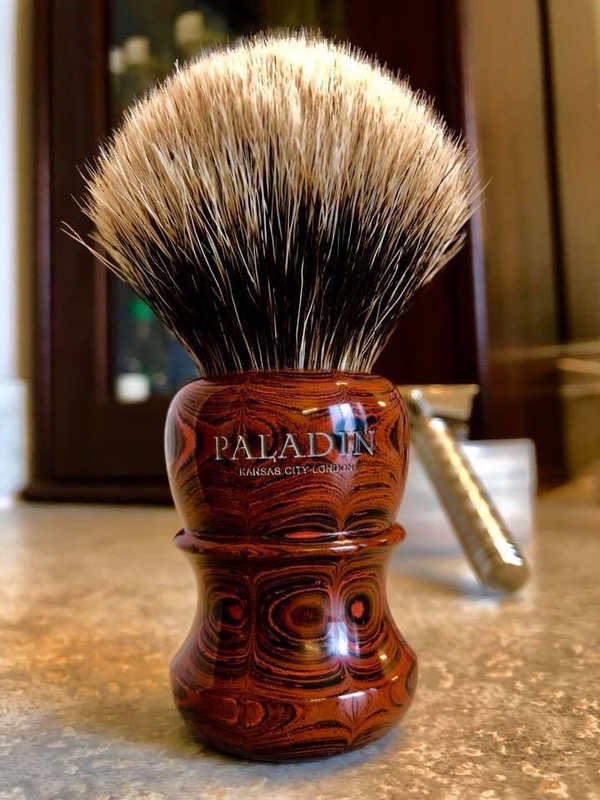 This thread will feature a lot of stunning brushes, beginning with yours. Magnificent collection, Jorge. 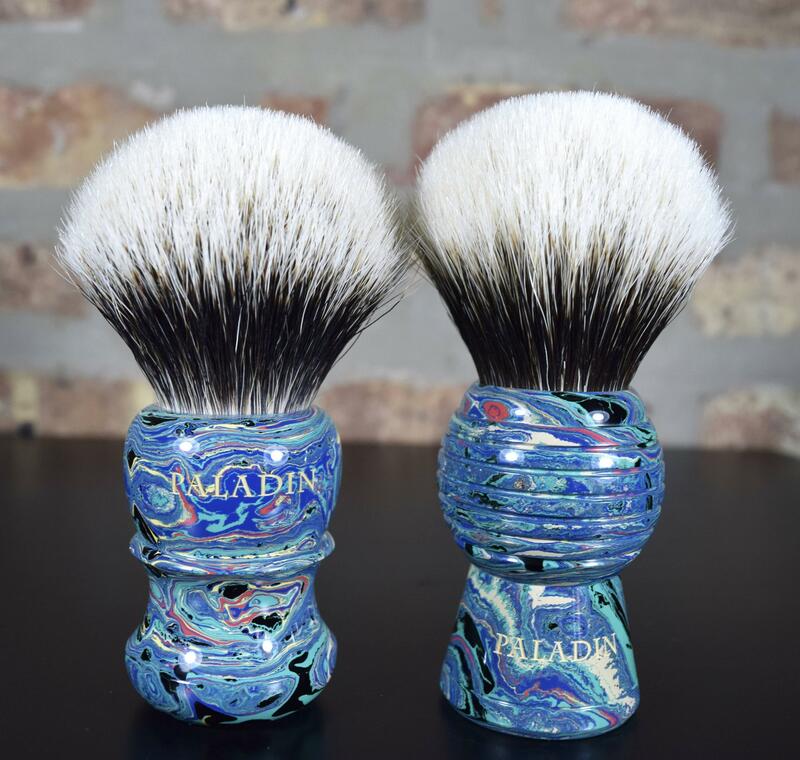 Congratulations on the beautiful brushes. (01-20-2019, 08:19 PM)TheLegalRazor Wrote: Excellent idea to start this Jorge. 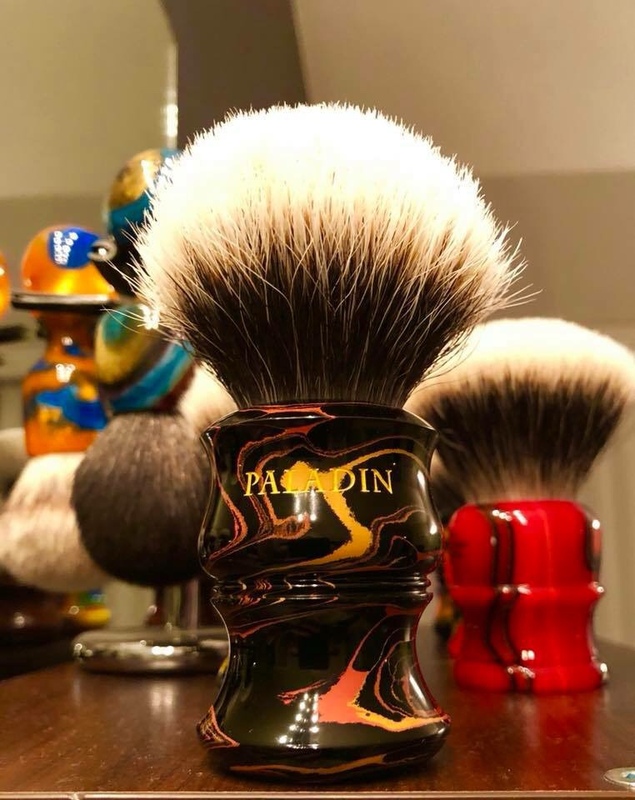 This thread will feature a lot of stunning brushes, beginning with yours. 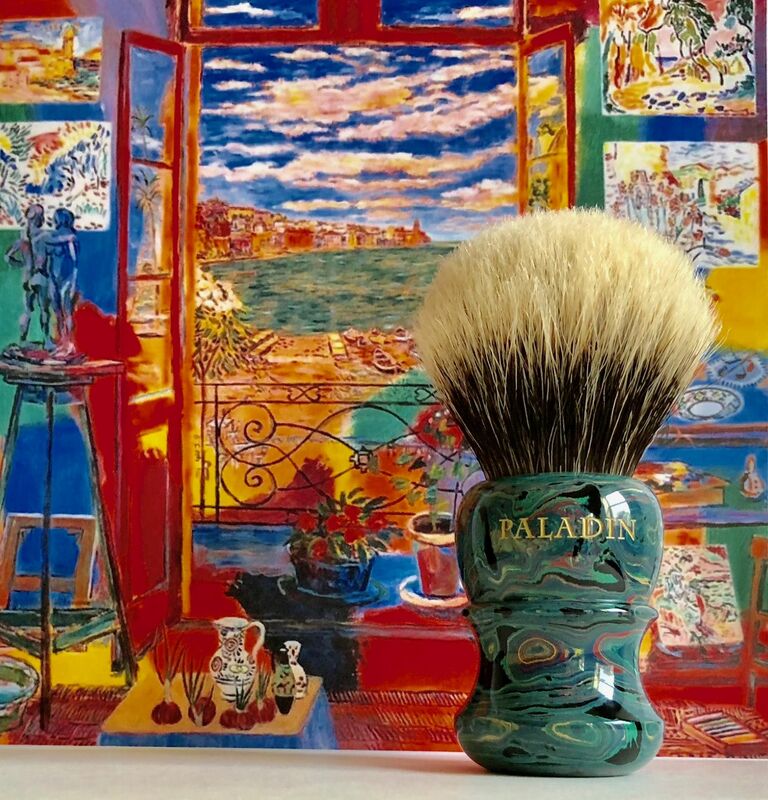 Thanks, Ricardo- I agree, this thread will certainly feature some beautiful brushes. (01-20-2019, 08:50 PM)celestino Wrote: Magnificent collection, Jorge. 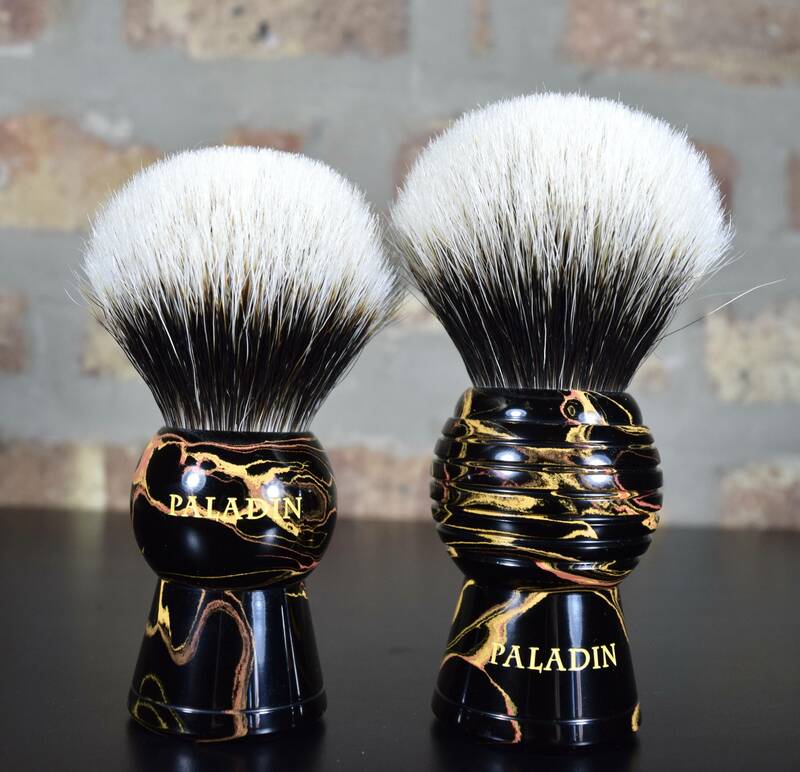 Congratulations on the beautiful brushes. Thank you for the kind words, Celestino. Beautiful. And great photos guys, you really do them justice. 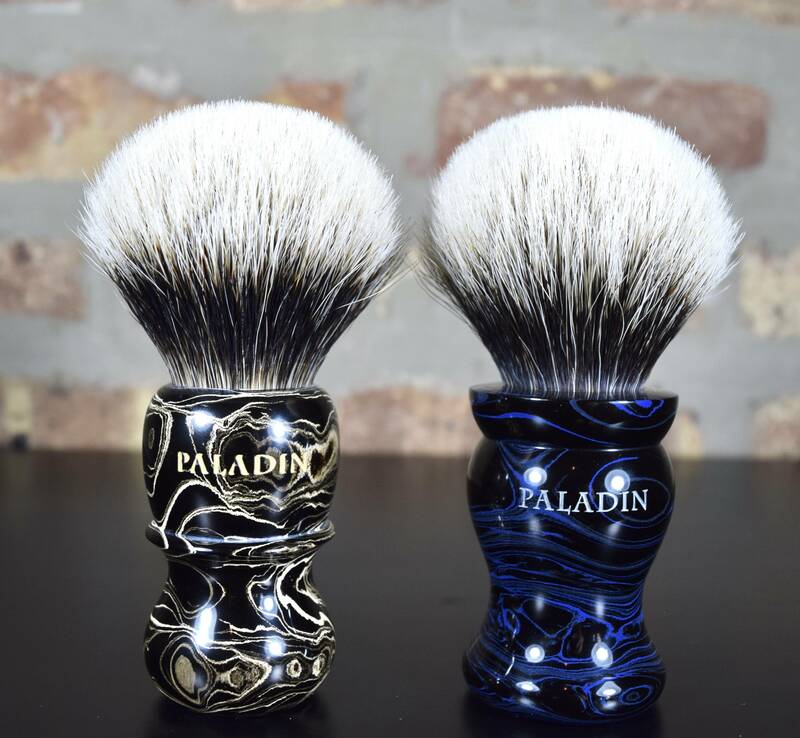 I hope to be lucky enough to try out a Paladin one day. I bought this one. 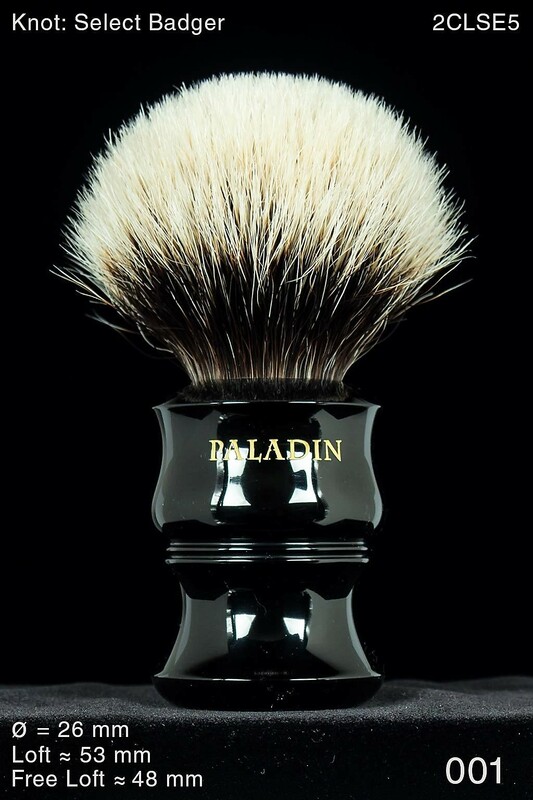 I intend shaving with it tomorrow for the first time. All of these brushes are magnificent. Enjoy them in good health gentlemen. We turned and finished that one in September 2014. 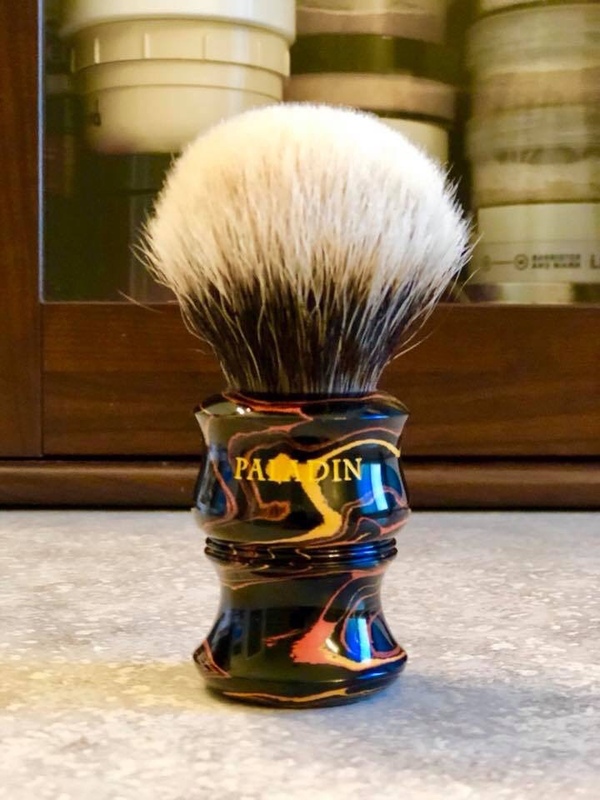 I am so lucky to have been able to get this brush! Beautiful!! Hope to own one of these in the future. 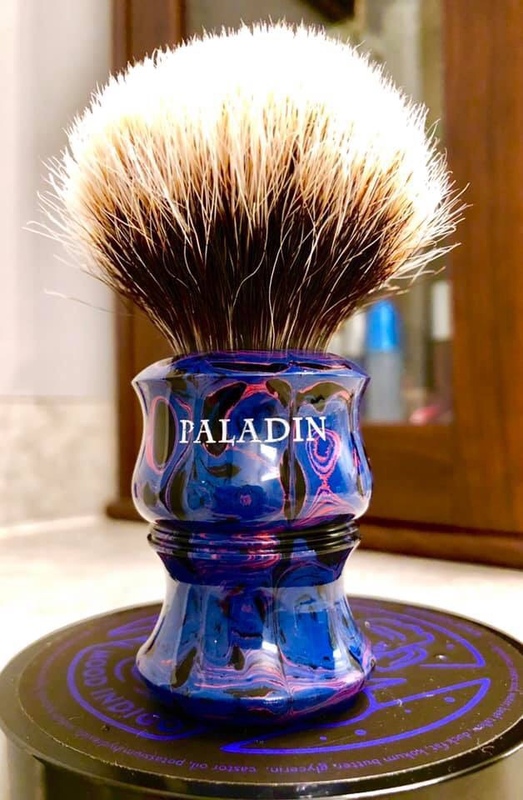 Intrigued but ebonite, but I haven’t pulled the trigger on one from any manufacturer. 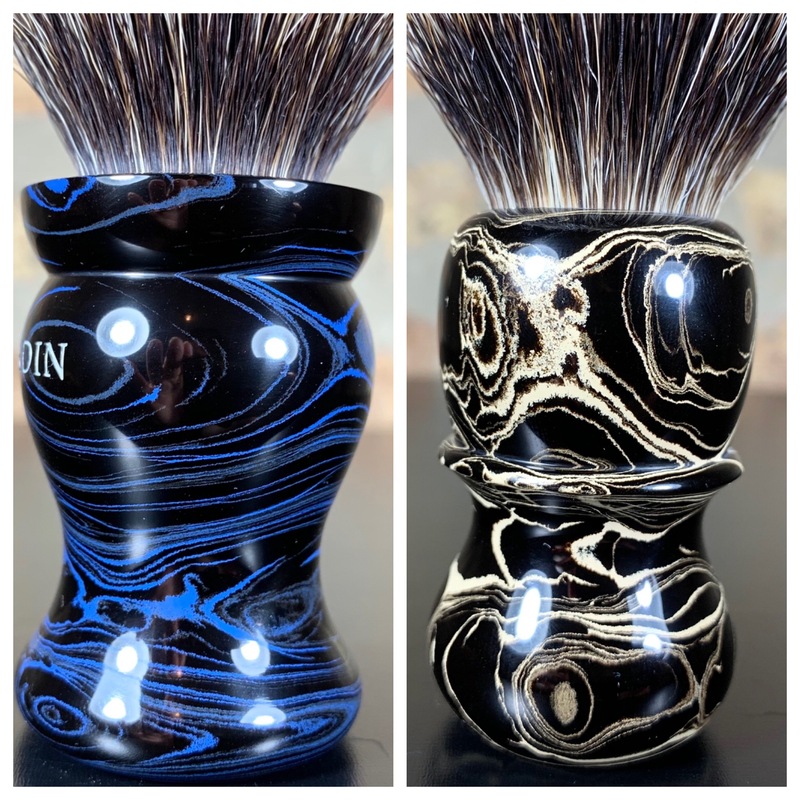 I’m sure it’s hard to describe, but is there any discernible or appreciable difference between the feel of ebonite and resin? I know the material is harder to work with but it’s hard for me to justify the price difference on my end without a good sense of the material difference. 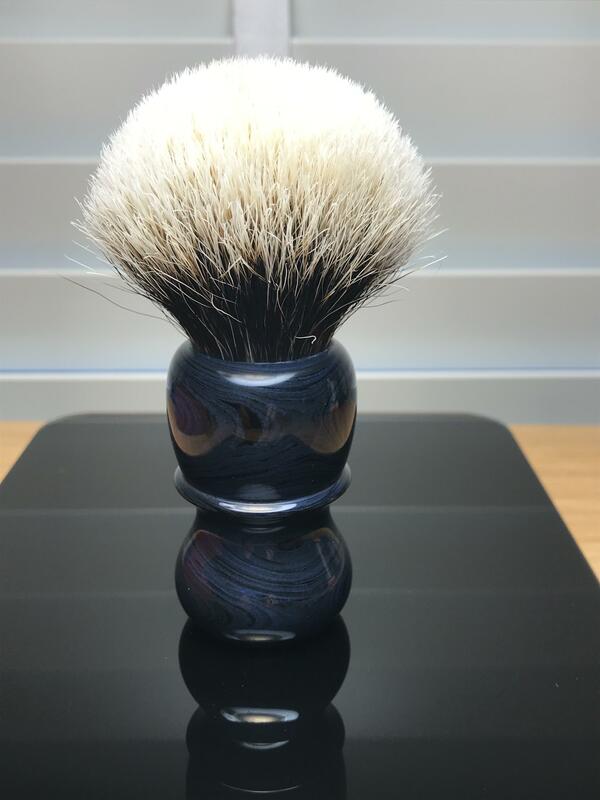 I've had many shave brushes in many materials, but only one in Ebonite. Maybe I'm just insensitive, but I canna feel a difference between the Ebonite & Resin. Natural horn has something tactile, and wood as well (maybe just due to the weight). 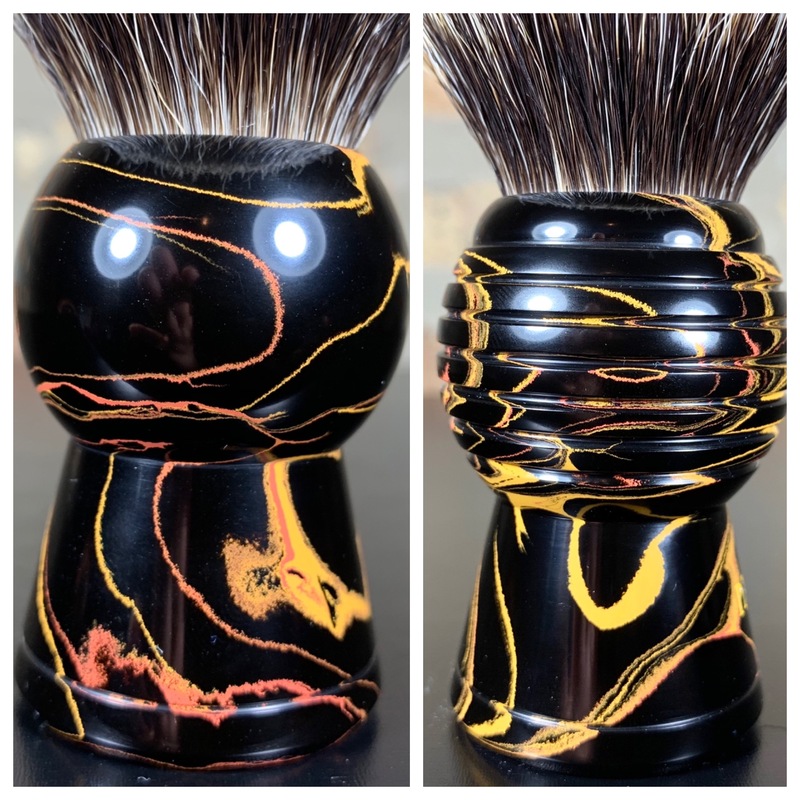 That said, the colors of Ebonite are quite different than what I've experienced in resin, though Peter Wolf's customs have some of the swirl effects.. So, my vote is no difference on feel, in beauty to the eye of the beholder .. I could have a more educated answer if some kind soul would send me an ebonite to try. 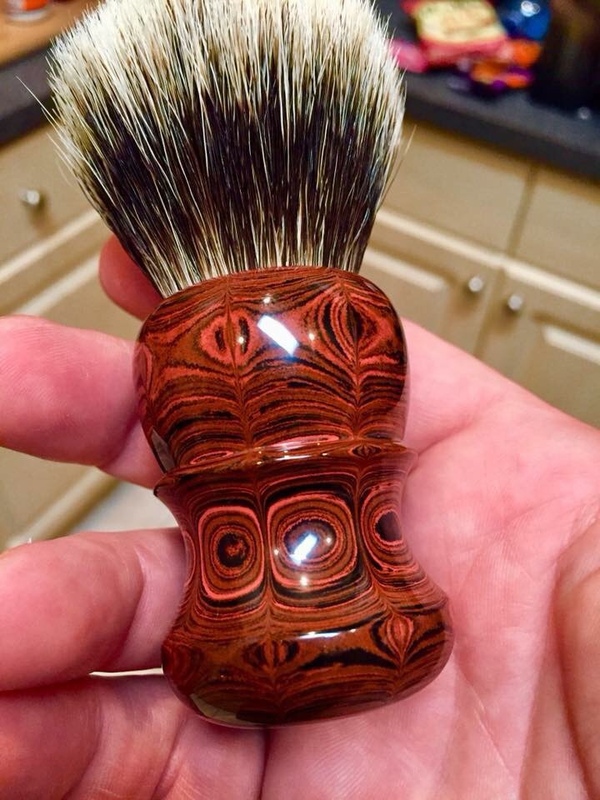 I do have an Azurite (stone) brush handle from Elite Razor. 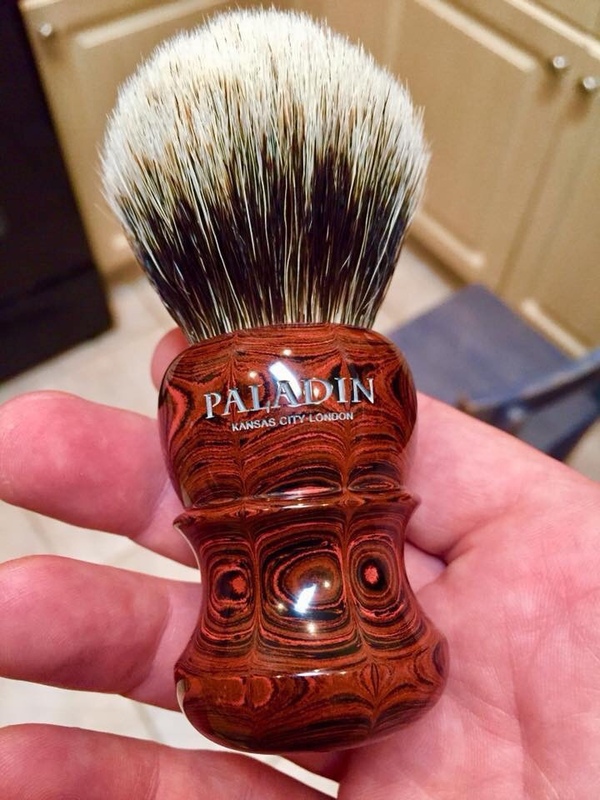 Heavier and feels "cooler temp" than resin - a likable brush. As of today, I have not dropped the brush or left in the sunlight - no comments on durability. 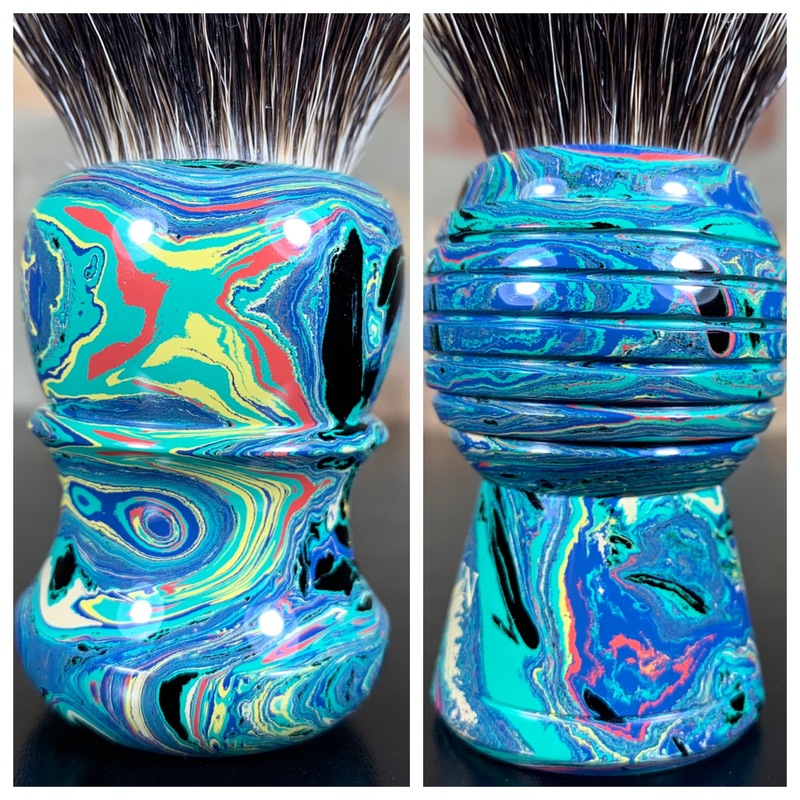 (01-27-2019, 07:00 PM)garyg Wrote: I've had many shave brushes in many materials, but only one in Ebonite. Maybe I'm just insensitive, but I canna feel a difference between the Ebonite & Resin. Natural horn has something tactile, and wood as well (maybe just due to the weight). That said, the colors of Ebonite are quite different than what I've experienced in resin, though Peter Wolf's customs have some of the swirl effects.. I agree with this. 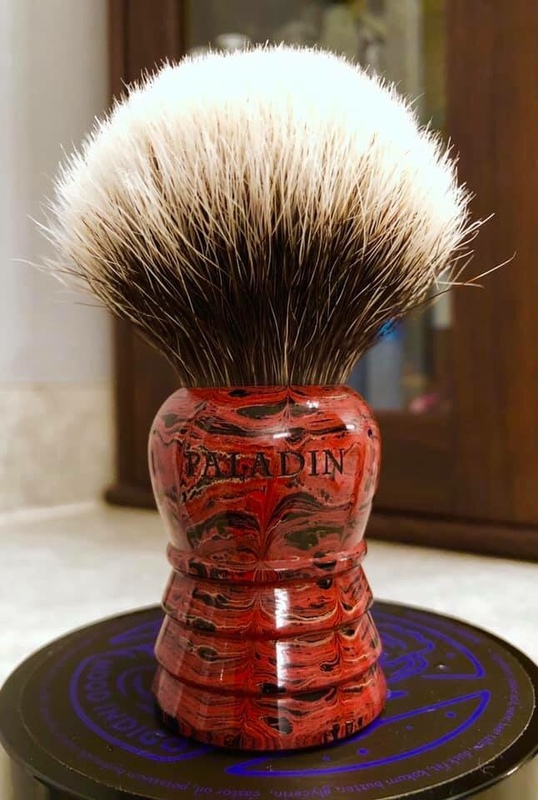 I can't feel any difference between my Brad Sears ebonite and my many resin brushes. I was expecting something softer but, then again, bowling balls are pretty hard also.